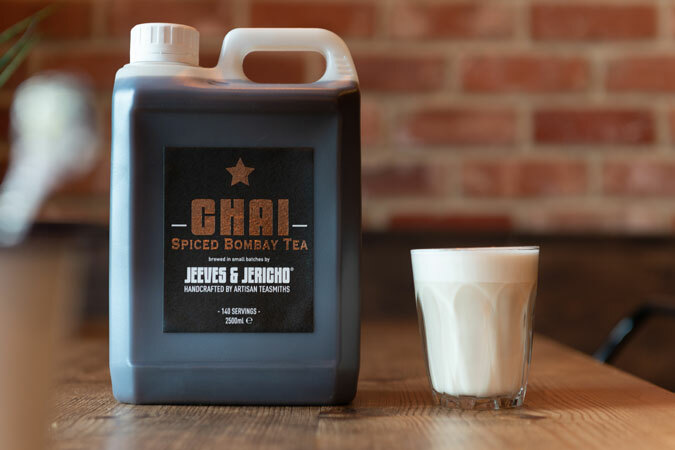 All new warming Spiced Bombay Chai concentrate is 100% natural and perfect with hot or cold milk of your choice. 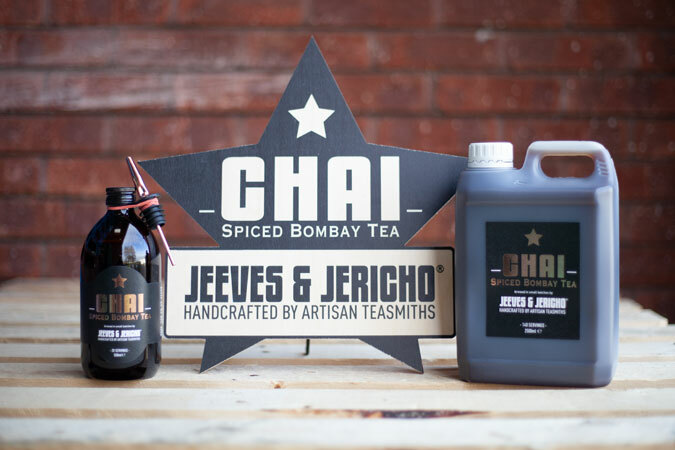 Using only the finest hand picked tippy Assam tea and spices which are slowly steeped and brewed in small batches using an authentic third generation family recipe, creating a powerful balance of comforting flavours. 500ml - the go to. 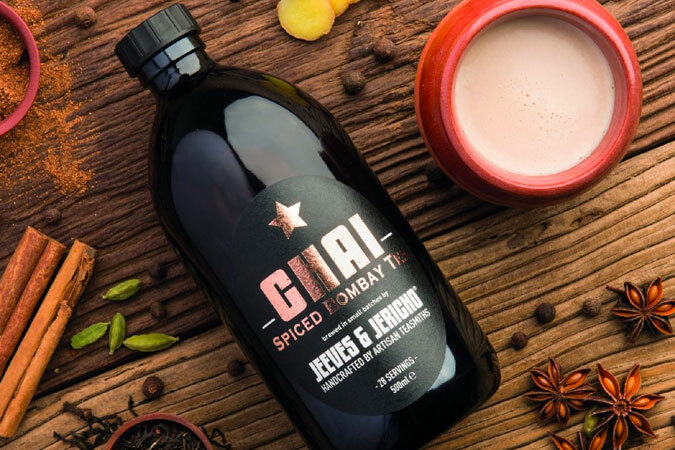 Up your Chai game with this versatile ready to go Chai syrup. 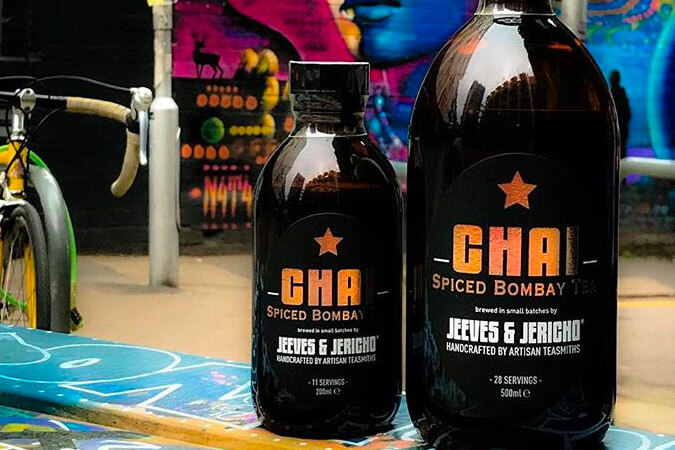 All Natural - Store in fridge once opened and use within two weeks..
Take-a-way chai. Why not take advantage of these handy retail sized bottles! Dairy, additive, preservative and gluten free Zero VAT Rated. ..
2500ml - The best value. Refill your 500ml bottle with this great value jerrycan. .. 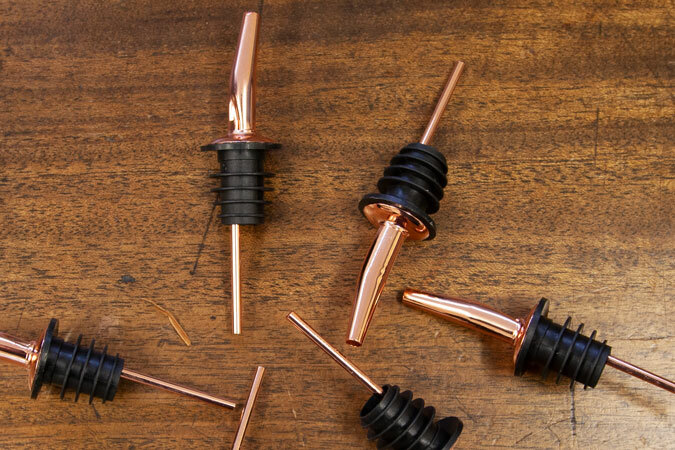 The chai copper free flow pourer helps prevent spillages and provides a smooth pouring technique. Ideal for attaching to your 200ml or 500ml bottle of..